The tiniest take on a vintage b-ball sneaker. A tiny replica of the iconic vintage basketball shoe. 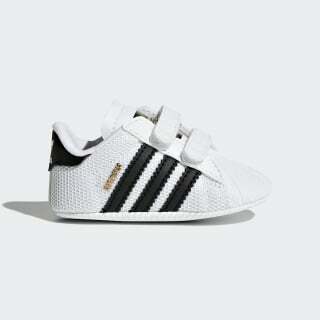 These infants' shoes have a soft mesh build, rubber toe cap and hook-and-loop straps for a comfy, easy wear.